Are you looking for a comprehensive Poole car service to bring your vehicle back to its best? At S&H Motors we specialise in providing our customers with a first-rate and unbeatable service for all sorts of makes and models. Whether your car is automatic or manual, our expert mechanics have years of experience and dedication to continuous training in the constant evolution and modernisation of car mechanics so you can be sure that your car is always in safe hands. Whether you need an MOT service or a full Poole car service, S&H are dedicated to making sure your car is performing at its optimum. 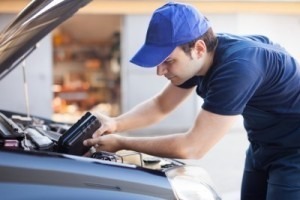 Believe it or not, an MOT only scratches the service when it comes to your car mechanics. Our Poole car service is designed especially around leaving no stone unturned, so your car comes away as pristine at the day you bought it. Our mechanics always conduct our car service in Poole in line with the manufacturers’ handbook, so know that your car is running at its optimum. We strongly recommend you have your car serviced by our car service Poole team once a year. That way, we can pick up a problem before it happens, which can save you time and money. There’s nothing worse than breaking down because a problem has been lying undetected for years. Have our Poole car service team fully inspect your car so you can go home confident that your car is completely road worthy. Our car service in Poole isn’t just about picking up any potential issues with your car. You will often find that after a car service Poole, your car will be running more cleanly and sometimes faster. Your fuel economy can increase, your breaking can be smoother, and the clattering of your loose wheel bearing has all but vanished. What can you expect from a Poole car service by S&H Motors? Backed by 30 years’ experience in servicing cars of all makes and models, our car service Poole is only performed by fully trained and expert technicians who can continue to withhold S&H Motor’s excellent reputation. With so much of our business coming from repeat customers and recommendations, you can be sure you’ll receive the best car service in Poole when you bring your car to S&H Motors. After our car service in Poole, we will provide you with a full itinerary of potential works, quoted individually so you can choose what’s necessary for you. During our car service Poole, we will also check your spark plugs, fuel filters, oil filters and oil replacement so you know there’s nothing clogging up the mechanics of your car. If there’s something we spot during our car service in Poole that can be easily maintained by you, we can save you money in the future but advising you on the best ways to tend to your car. This means the life of your car can be prolonged in the long run and you can get the most out of your investment. If you would like a competitive quotation for your Poole car service, call S&H Motors today. With so much on offer when you choose S&H Motors for your car service in Poole, you’ll certain to use us time and time again. What are you waiting for? If your car isn’t performing at its best, contact us today for the best car service in Poole, and see what we can do for you!